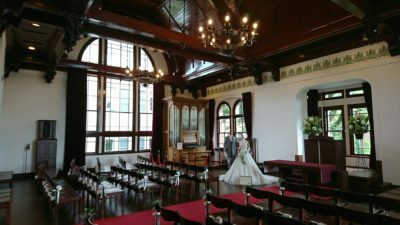 We hosted a wedding consultation meeting with an inspection tour at Doshisha University on June 25th. 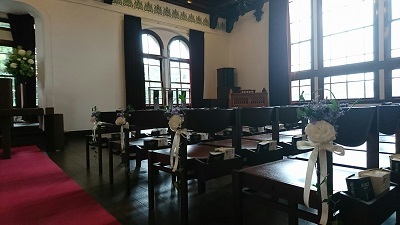 At the chapel of Doshisha University which is designated as an important cultural property, you cannot have an flashy wedding, but you can have an authentic, solemn wedding ceremony with religious service. It will surely touch the hearts of all the guests, needless to say the ones of bride and groom. We, LST staff, will try our utmost effort to make it the couple’s happiest day in their life.